The epicenter of the Sage Summit 2015 show floor featured three large screen TVs used for hourly presentations by executives and representatives of our global products. 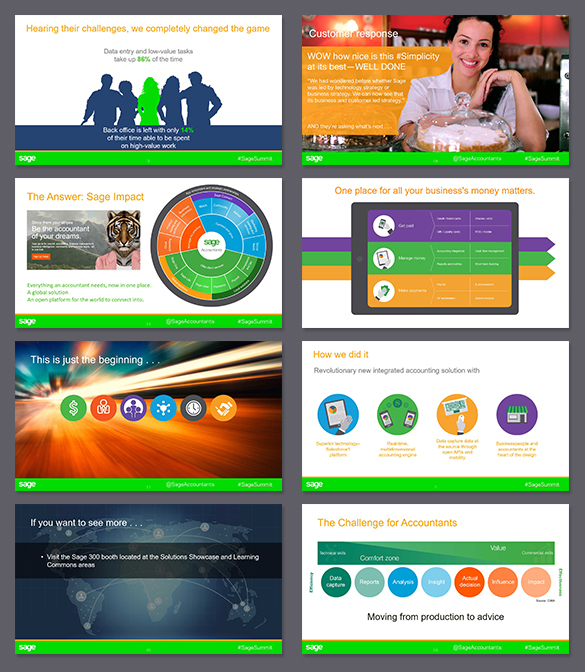 My responsibility was to create PowerPoint decks for six of the newest Sage global products including embedded video I created to bookend each presentation. Over 200 new slides were created in under 72 hours for this project.